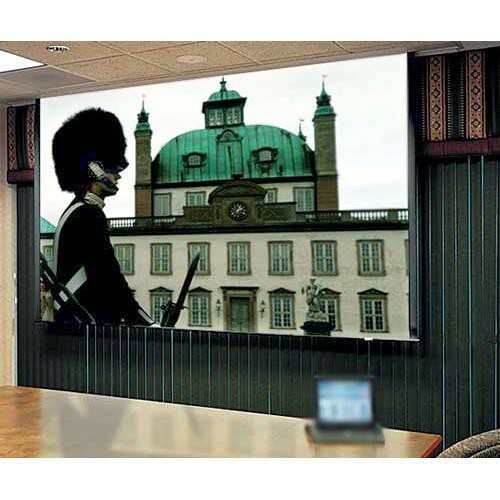 Draper 52x92" Ultimate Access/Series E Motorized Projection Screen - What if you know that you want a ceiling-recessed screen, but you don't know what projector (or projectors) will be used---and therefore, you don't know the optimum size or aspect ratio of the screen, the optimum screen surface, or whether tab tensioning is required? With the Ultimate Access, that's not a problem; order the case now---just make sure it's large enough to accept the largest screen you think you may need. Order the screen later, after the projector decision is made. Or let the occupant make the decision at a later date.